Fang depressed about losing his Donut. 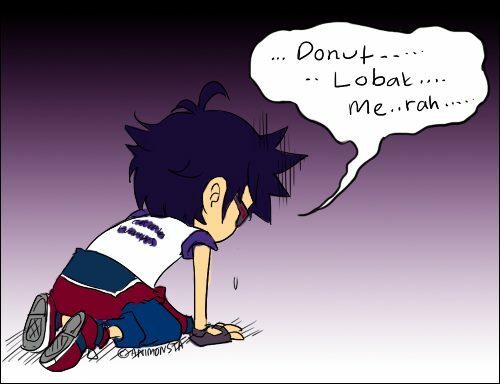 hahahaha........... Wallpaper and background images in the 波波仔（boboiboy） club tagged: boboiboy. This 波波仔（boboiboy） photo contains 动漫, 漫画书, 漫画, 卡通, and 漫画卡通. LOL I Love That Episode Moment!